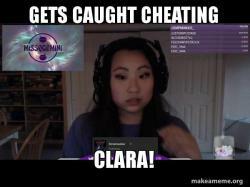 Haley-Isabel a well known CS:GO Twitch streamer who goes by the name “MissQGemini” was caught using cheats on stream. 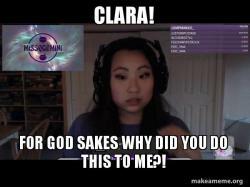 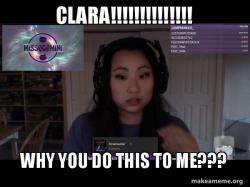 Instead of owning up to it she blamed it on her friend Clara. 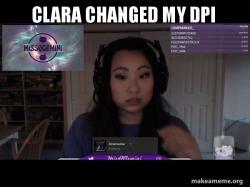 I am not sure how this is possible but anyway here is a meme pic for all of you that want to make a meme.